Educating people on how to save money using coupons, free samples, and teaching couponing skills/vocabulary/techniques from beginners to advanced level couponers. This entry was posted in Costco, CVS, Dollar General, Food 4 Less, Fred Meyer, Fry's, Harris Teeter, Hy-Vee, Jewel-Osco, King Soopers, Kmart, Kroger, Meijer, Other Stores, Rite Aid, Safeway, ShopRite, Smith's, Stop & Shop, Target, Vons, Wal-Mart, Walgreens, Whole Foods, Winco, Winn-Dixie and tagged Costco, CVS, Dollar General, Food 4 Less, Fred Meyer, Free, Fry's, Harris Teeter, Healthier Options, Hy-Vee, Jewel-Osco, King Soopers, Kmart, Kroger, Meijer, Organic, Other Stores, Rite Aid, Safeway, SavingStar, ShopRite, Smith's, Stop & Shop, Target, Vons, Wal-Mart, Walgreens, Whole Foods, WinCo, Winn-Dixie on July 29, 2015 by Kayla Nizi. FREE Ben & Jerry’s Mini Cup! This entry was posted in Costco, CVS, Dollar General, Food 4 Less, Fred Meyer, Fry's, Harris Teeter, Hy-Vee, Jewel-Osco, King Soopers, Kmart, Kroger, Meijer, Other Stores, Rite Aid, Safeway, ShopRite, Smith's, Stop & Shop, Target, Vons, Wal-Mart, Walgreens, Whole Foods, Winco, Winn-Dixie and tagged Costco, CVS, Dollar General, Food 4 Less, Fred Meyer, Free, Fry's, Harris Teeter, Hy-Vee, Jewel-Osco, King Soopers, Kmart, Kroger, Meijer, Other Stores, Rite Aid, Safeway, SavingStar, ShopRite, Smith's, Stop & Shop, Target, Vons, Wal-Mart, Walgreens, Whole Foods, WinCo, Winn-Dixie on July 14, 2015 by Kayla Nizi. This entry was posted in Costco, CVS, Dollar General, Food 4 Less, Fred Meyer, Fry's, Harris Teeter, Hy-Vee, Jewel-Osco, King Soopers, Kmart, Kroger, Meijer, Other Stores, Rite Aid, Safeway, ShopRite, Smith's, Stop & Shop, Target, Vons, Wal-Mart, Walgreens, Whole Foods, Winco, Winn-Dixie and tagged Costco, CVS, Dollar General, Food 4 Less, Fred Meyer, Free, Freebie Friday, Fry's, Harris Teeter, Hy-Vee, Jewel-Osco, King Soopers, Kmart, Kroger, Meijer, Other Stores, Rite Aid, Safeway, SavingStar, ShopRite, Smith's, Stop & Shop, Target, Vons, Wal-Mart, Walgreens, WinCo, Winn-Dixie on May 2, 2015 by Kayla Nizi. 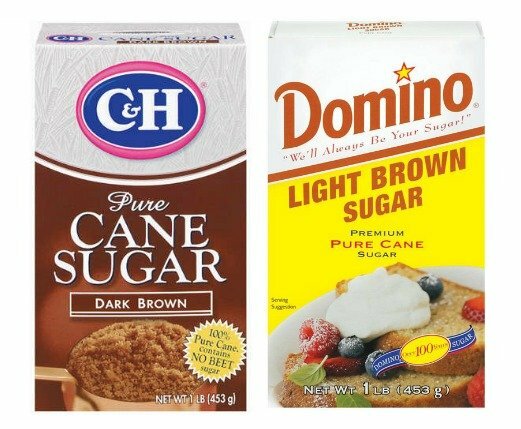 FREE Domino or C&H Brown Sugar! This entry was posted in Costco, CVS, Dollar General, Food 4 Less, Fred Meyer, Fry's, Harris Teeter, Hy-Vee, Jewel-Osco, King Soopers, Kmart, Kroger, Meijer, Other Stores, Rite Aid, Safeway, ShopRite, Smith's, Stop & Shop, Target, Vons, Wal-Mart, Walgreens, Winco, Winn-Dixie and tagged Costco, CVS, Dollar General, Food 4 Less, Fred Meyer, Free, Freebie Friday, Fry's, Harris Teeter, Hy-Vee, Jewel-Osco, King Soopers, Kmart, Kroger, Meijer, Other Stores, Rite Aid, Safeway, SavingStar, ShopRite, Smith's, Stop & Shop, Target, Vons, Wal-Mart, Walgreens, WinCo, Winn-Dixie on February 27, 2015 by Kayla Nizi. This entry was posted in Other Stores and tagged Other Stores on August 28, 2014 by Kayla Nizi. This entry was posted in Other Stores and tagged Free, Mail-In Rebate, Rebate, Staples on August 22, 2014 by Kayla Nizi. 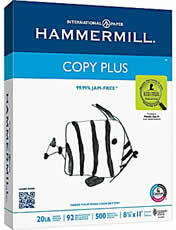 FREE after easy rebate with coupon. 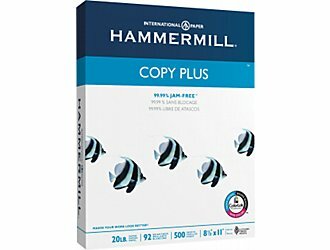 Hammermill 8.5″ x 11″ CopyPlup copy paper, ream. This entry was posted in Other Stores and tagged Free, Staples on August 7, 2014 by Kayla Nizi. This entry was posted in Other Stores and tagged Cermak, Coupon Matchup, Extreme Deals, Other Stores on July 16, 2014 by Kayla Nizi. This entry was posted in Other Stores and tagged Coupon Matchup, Extreme Deals, Other Stores on July 16, 2014 by Kayla Nizi. This entry was posted in Other Stores and tagged Extreme Deals, Other Stores on July 10, 2014 by Kayla Nizi. Visit KillinItWithCoupons's profile on Pinterest. Clean & Clear Only $1.64 at #Walgreens or $1.89 at #Target with #Coupon! killin... - Face Beauty on Clean & Clear Only $1.64! $0.69 Gerber 2nd Foods! | - MyBabyReview.com on $0.69 Gerber 2nd Foods!